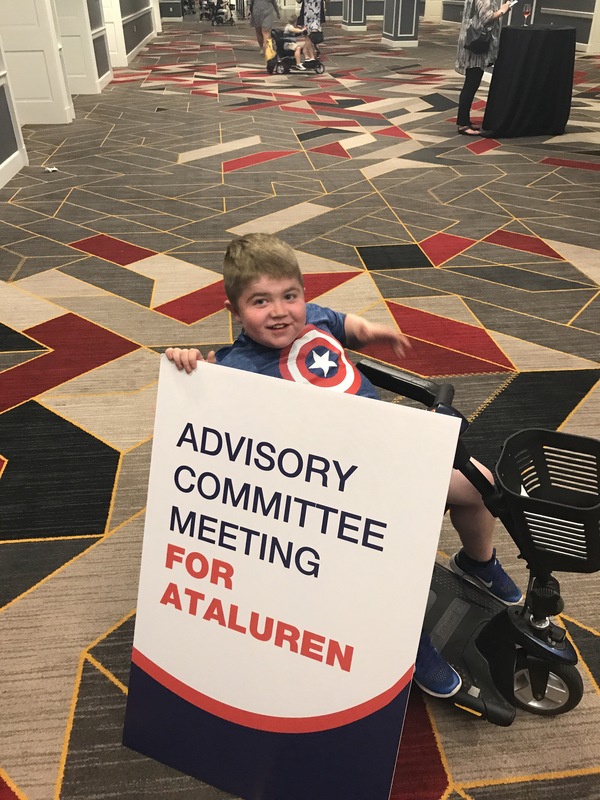 We’ve just made it home after spending a couple of days in Washington, D.C. where we attended and testified at an FDA advisory committee meeting for the trial drug Ataluren. All three of our boys take this medicine three times a day. My sons are doing well considering the devastating progressive nature of Duchenne. We attribute much of that to Ataluren. Yesterday the Advisory committee voted. 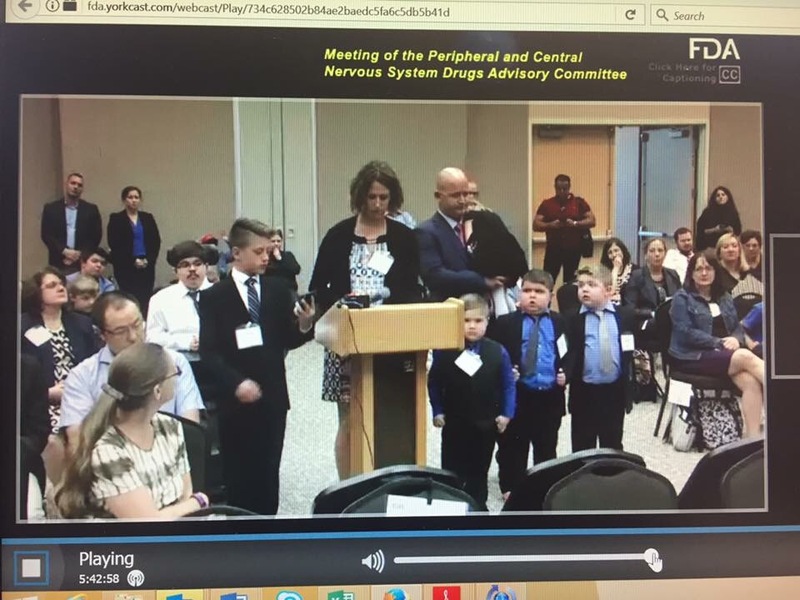 This vote is the recommendation the committee will give to the FDA and the FDA considers the recommendation when they make their decision in about 4 weeks. The committee did not vote no. They did not vote yes. Instead, the majority vote was that although there could be benefit from this drug, it is not well reflected in the data. This could be a path forward towards accelerated approval. Last night, although dissappointed, people were okay with the decision. There was a celebratory feeling in the air. The community was focusing on the positive. I, however, was almost numb. I was scared immediately. What does this mean? Really mean? Yes, it would appear there is a path forward for approval someday. How far away is someday? Will boys on drug now, my boys, stay on drug? Will they decline, suffer if they have to come off? I had so many questions. So much fear. Tears were just steaming down my face. I didn’t want to cry, but I had no defense. I think a lot of those tears were coming for other reasons, but last night was the perfect storm, an end to a long exhausting process that only promises to be longer and more exhausting. I knew I would be home today and that meant my sister’s funeral was even closer. I cried. I cried for everything: my sister, my boys, my weakness. Last night I just wanted something to be easy. 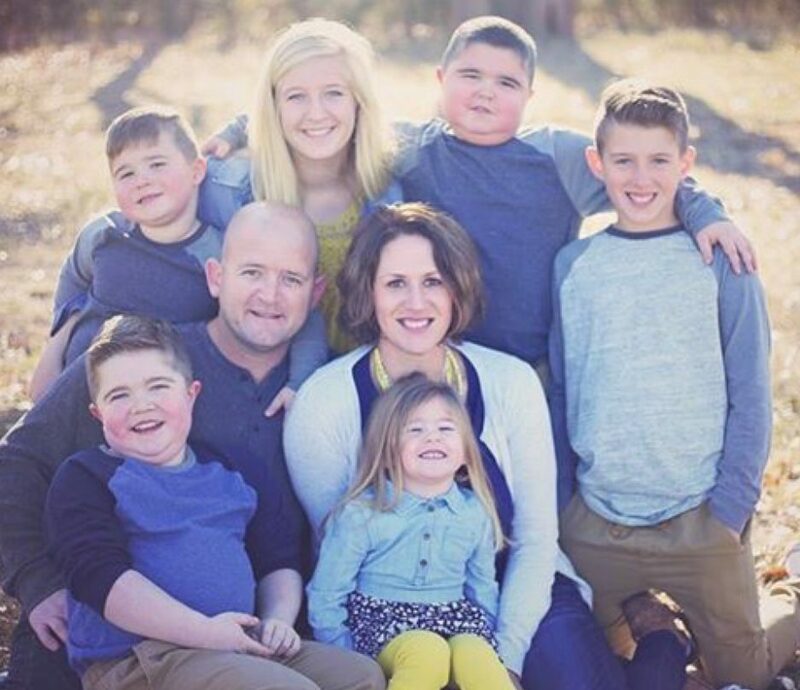 The community of fellow warrior parents embraced me. They hugged me, let me cry, checked on me, tried to cheer me up. I was blessed with their presence. The CEO and founder of the therapeutics company that makes Ataluren sat with me. The first time I’ve talked to him and rather than try to impress him and show him I am strong enough for this life, I just cried. I wiped my eyes and tried to stop and just cried more. Not sobbing, just tears streaming down my face. He spoke to all the parents last night. He’s not giving up on the drug. He told us that they would be meeting, they were going to strategize next steps, and then they’d tell us what we could do to help. He asked two things of us. 1. Do not be too tired. 2. Be mad. He told me personally. You have three sons, you have to be 3 times as strong. He said cry tonight. Be ready to fight tomorrow. I didn’t tell him I would say my final good-bye to my 31 year old sister over the weekend. I just promised him I would do what he asked. I changed it just a little. I’m going to cry this weekend, all weekend. But come next week, I will be mad, I will find my fight, and with my warrior community and help from above, I will do anything I can to help my boys. We are home for less than 24 hours before we leave in the morning. I need to do laundry and pack and get a little rest. Out of habit, I walked out back to check the garden. I’ve neglected it. People have offered to take care of it for me, but I didn’t even care. It’s fall. I was ready to just let it die. I was too tired to do anything with it. But I could see some perfect heads of broccoli. I went in. I saw a ton of peppers and started to pick them. I noticed the last 3 cucumbers and picked them too. I decided we’d have a veggie tray for supper. I picked tomatoes. 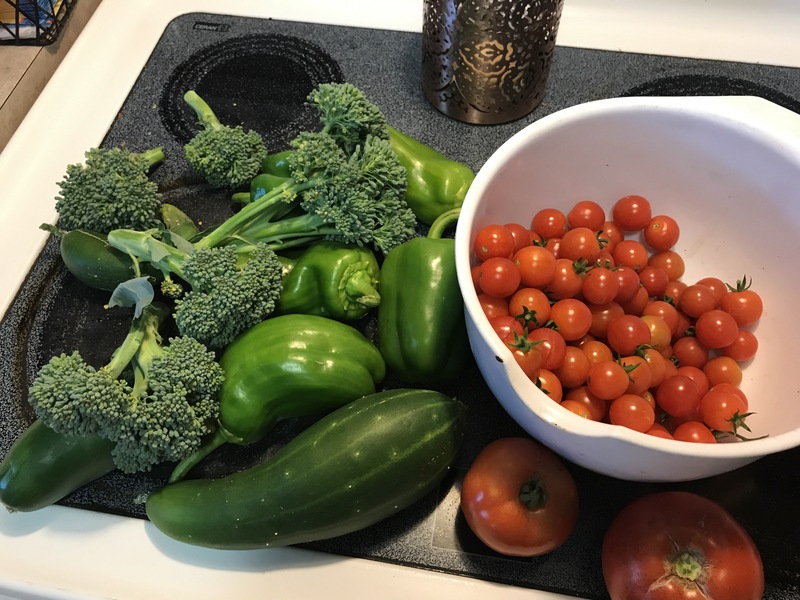 My garden kept producing food, even after weeks of neglect. Vegetables kept growing. Plants were overgrown, but underneath they were healthy and full of beautiful vegetables. There were dead vines, decaying tomatoes, but next to them were healthy pieces of plant and perfect cherry tomatoes. I am the same. I’ve neglected me. I’m not drinking enough water, I’m not sleeping enough, but I am still productive. They are parts of me that death has touched too intimately and parts of my heart feel decay, but there is healthy perfect parts still in tact. I thought I was too tired. But squating in the dirt, shooing away bugs, I thought I can do this. Words from yesterday were ringing in my head. I can be not too tired. Even as I hurt and grief and worry, I can be not too tired. I will get mad too. I will be back to the fight too.